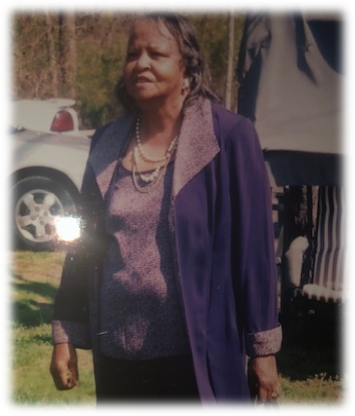 Obituary for Wilma (Griffin) Owens | Kelsey Funeral Home of Albemarle, Inc.
Our dearly beloved, Wilma Mae Griffin Owens, was called to Eternal rest, Monday, October 8, 2018. Born November 10, 1935 in Stanly County, North Carolina, Wilma was the daughter of the late Andrew and Odessa Scott Griffin. Our family has weathered the loss of two family members in a span of seven days. Our loved ones will be sorely missed; and we are comforted in knowing that they now rest in the arms of Our Lord and Savior Jesus Christ. Wilma attended the public schools of Stanly County and was employed for several years with the Motel Restaurant, Richfield, North Carolina. She and her family attended First Baptist Church, New London, North Carolina. Her favorite hobbies included: fishing, cooking, watching all the ABC Network soap operas and watching her favorite western, Gunsmoke. Wilma and her sons also enjoyed watching the wrestling channel. Whenever she had an opportunity, she loved riding to the mountains, going to the beach and traveling as she enjoyed adventure. In addition to her parents, Wilma was preceded in death by her husband, Robert Fred Owens, Sr.; sons: Robert Owens, Jr. and Johnnie W. Owens, Sr.; granddaughter, Keyonia Covington; brothers: Joshua, Clarence, Henry, Tommy, Roy, David, Raymond and Charlie; and sisters: Shirley and Lena. Memories of Wilma will be cherished by her son, Mickey Owens, New London; daughters: Eunice Covington, Albemarle and Rhonda (Lynn) Covington, New London; twelve grandchildren; sixteen great grandchildren; brother, Melvin (Mary) Griffin, New Haven, Connecticut; sister, Ruby Lilly, Albemarle; brother-in-law, Sam (Teresa) Miller; sisters-in-law: Mary B. Griffin, Mae Griffin, Ellen Travick and Doretha Baldwin; special friend and caregiver, Betty Carpenter; a host of nieces, nephews, other relatives and friends.